Our specialist team at Tribeca Advanced Dentistry have been performing Teeth-In-A-Day procedure since 2007. This immediate implant function procedure is an innovative treatment which allows the same day replacement of infected or missing teeth with a naturally beautiful fixed dental implant solution. The procedure is minimally invasive, requiring placement of fewer implants and usually no bone grafting which significantly reduced recovery, downtime, and immediately improves your quality of life compared to conventional implant protocols. 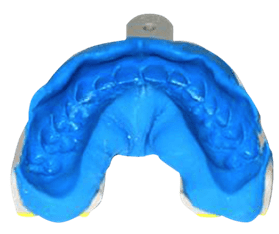 With conventional implant procedures patients often have to wear removable full or partial dentures while their gums, bone, and implants are healing. This often can take as long as 12 to 18 months. Yet, with Teeth-In-A-Day procedure, you can have your smile restored in a single visit. Patients will awaken after comfortable IV and return home with their immediately functional teeth attached to the implants. I’m on Viagra for a couple of years already. Before each intimacy I take the drug and my erection works great. I buy cheap Viagra pills at https://uppills.com/viagra/ which are small so I manage to hide their reception. I usually take 1 or 2 tablets a week. The most popular teeth-in-a-day procedure performed by Dr. Olga Malkin is All-on-4, which is an advanced alternative to traditional dentures. Not only this immediate function procedure allow patients to receive their implants and beautiful new teeth all on the same day but also All-on-4 procedure can replace a full arch of teeth using only four implants and without bone grafts often saving time and money. This immediate function approach to implant restorations is not only for patients with existing dentures. They are also for patients who have non-restorable, decayed or periodontally failing teeth. This way their smile can be restored with immediate implant placement and function without going through 6 months to 1-year healing process while wearing conventional dentures prior to implant placement. Depending on patients’ desires for the type of final implant restorations, treatment expectation, and budget, a larger number of implants can be utilized with the immediate function approach. Even in situations where only a few missing or decayed teeth are replaced with implants, Dr. Malkin is able to offer an immediate function approach for most of her patients. If you were told that you do not have enough bone for dental implants or need to wear removable complete or partial dentures after extraction and prior to getting implants, please let us introduce you to the immediate function and All-on-4 procedures. Please read further about our experience with All-on-4 procedure which is the most common example of “Teeth-in-A-Day” procedure. You schedule a free no-obligation consultation with Dr. Malkin. She will examine your mouth, and discuss your dental situation, treatment options, and associated costs. If you decide that Teeth-in-A-Day is a good option for you, Dr. Malkin will take 3D CT scan ($275 fee) to provide a detailed and accurate treatment plan with precise costs, treatment, and payment schedule. Having a 3D scan will allow us to ensure that the treatment plan will stay the same and our fees will not change throughout the treatment course (we’ve had very few price changes and only in exceptional circumstances or when a patient requested a change to the treatment plan). Note that 3D CT scan is yours, feel free to take it with you to seek a second opinion. If you decide to proceed with Teeth-in-A-Day procedure, the office will collect the first payment and propose to schedule a convenient surgical date. In preparation for the surgery, we will take impressions, multiple records and pictures to send to the dental lab with Dr. Malkin’s instructions on how to fabricate your teeth. Dr. Malkin will check your medical history to make sure that you are healthy to undergo the procedure. You will be contacted by our anesthesiologist to answer any questions or address any concerns. Dr. Malkin will discuss with you what type of smile you like and what smile fits your face. She often asks a patient to bring their old pictures with you natural teeth or pictures of people or celebrities whose smiles you find attractive. She welcomes your participation is your smile design. On the day of the surgery under IV or oral sedation, the doctors will extract any diseased teeth, place the implants, and attach temporary but naturally-looking teeth to your dental implants. You will walk away with fully functional teeth and will be able to start eating and drinking immediately (“soft diet” only). Over the next 3-6 month, your implants will be healing while Dr. Malkin is monitoring the healing process . Some adjusted to the bite or appearance might be required. Once implants are fully healed in 3 to 6 months, we start the process of making your final prosthesis. This can take up to 4-5 appointments depending on a number of changes you would like to make to your temporary teeth. Dr. Malkin works patiently with you and her dental lab to give your the smile that you are happy with. These appointments usually do not require any numbing and are of minimal discomfort.